The excitement around Jackson Day is growing so fast, we had to buy a bigger tent. That means we have 10 open tables and we are extending ticket sales until the seats are filled! So there’s still room for you to join us — under the big tent — on Bicentennial Mall in Nashville for our annual Jackson Day Dinner this Saturday, Oct. 1. Doors open at 6 p.m.
Click here to purchase tickets at JacksonDay.org. This year we are celebrating who we are as Democrats by paying tribute to the legacy of Governor Ned McWherter. We’re thrilled to announce Nashville Mayor Karl Dean, House Leader Craig Fitzhugh and former Commissioner of Economic Development Matt Kisber will be joining us for the tribute. They’ll be sharing the stage with the outstanding John Seigenthaler and our keynote speaker Governor Ted Strickland of Ohio. With an incredible Drew Westen message workshop during the day and a comedy filled After Party co-hosted by the Tennessee Young Democrats — this will be the big tent party of the year. Jackson Day is just three days away and our new, bigger tent is filling fast. So don’t wait to get your tickets. By popular demand, Democratic messaging expert Drew Westen is coming back to Tennessee. If you’re frustrated with the Republican noise machine and want the skills to change the story, then join us next Saturday. October 1st —before Jackson Day— the TNDP will host a Drew Westen messaging workshop in Nashville! Tuition is $50**, and all participants will receive great resource materials to take with them. Throughout his 20-year career as a political consultant, Drew Westen has trained members of Congress, major progressive organizations and even worked with the president. This training will offer a unique opportunity to learn basic values-based strategy skills such as framing and effective message development. Westen’s hands on, interactive approach will help you incorporate your values into your organizing and campaign strategy. This training is guaranteed to fill up fast. **NOTE: The workshop is FREE to ANY elected Democratic official, County Democratic Party chair or state Executive Committee member. If you are an elected official, county chair or executive committee member, please click here to RSVP online for the FREE training. For more information, contact Brandon@TNDP.org or by phone at (615) 327-9779. It is my privilege to tell you that the legendary John Seigenthaler will be joining us Oct. 1 at our Jackson Day Dinner in Nashville at the Bicentennial Mall. Click here to get your tickets today to our Jackson Day Dinner on October 1st. As you may have heard, the Tennessee Democratic Party is paying tribute to Governor Ned Ray McWherter at this year’s Jackson Day Dinner. Gov. McWherter was a determined and dedicated Democratic leader who went to work for Tennesseans, expanding opportunity through investments in schools, health care and jobs. Seigenthaler was a personal friend of the governor and we are thrilled to have him speak during our Jackson Day tribute to Ned McWherter. Will you join us at Jackson Day? Click here to get your tickets! The deadline to reserve table seating is NOON, Friday, September 23. 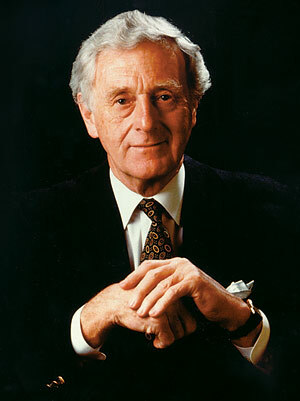 In his lifetime of progressive work, Seigenthaler has served as an assistant to Robert F. Kennedy, aided the Freedom Riders in Montgomery, Ala. and was the longtime editor of The Tennessean until his retirement in 1991. That same year, he founded the First Amendment Center with the mission of creating national discussion, dialogue and debate about First Amendment rights and values. Like McWherter, John Seigenthaler is a true Tennessee treasure. Our Jackson Day Dinner is a celebration of who we are as Democrats—especially this year as we salute one of our state’s greatest home-grown Democrats, Ned McWherter. As a valuable part of the Tennessee Democratic Party, we hope you can attend. Please join us October 1st at Bicentennial Mall for Jackson Day 2011. NASHVILLE—In advance of tonight’s GOP presidential debate in California, the Tennessee Democratic Party released a new estimate of the number of jobs which would be lost in Tennessee if the Republican Party’s presidential candidates and U.S. Sen. Bob Corker are able to pursue their extreme economic policies. The analysis conducted by the Democratic National Committee found that just the balanced budget amendment, like the one included in the Tea Party budget plan passed by the U.S. House of Representatives this summer, would result in the loss of 9.5 million American jobs and 184,569 jobs in Tennessee. The loss of so many jobs would likely sink the economy into a depression the likes of which the country hasn’t experienced since the Great Depression. Sen. Corker and every Republican presidential candidate has come out in favor of a balanced budget amendment to the constitution or supported the Tea Party budget plan which contains one. “9.5 million American jobs lost and 184,569 jobs lost here Tennessee, a second Great Depression, devastation for the middle class, small businesses, students and seniors, an end to Medicare, and a slashed Social Security — that’s the Republican plan for our economy. “There’s no question we need to get our fiscal house in order and get the economy moving, but the price Mitt Romney, Rick Perry, Michele Bachmann and Sen. Bob Corker are willing to pay to appeal to the most extreme and narrow elements of the Tea Party is too high – especially for Tennesseans. “The Republican approach is like setting dynamite to your home to fix a leaky faucet — and these misguided choices are the result of a Republican Party which has turned over an increasing amount of power to its Tea Party fringe. The new analysis looked at the nonpartisan Congressional Budget Office’s (CBO) August deficit projections for 2012 ( $991 billion deficit with CBO options for Iraq drawdown, extension of all tax provisions and Alternative Minimum Tax indexing and accounting for the so-called “Doc” fix), and using the conservative Romer-Bernstein rule of thumb that 1 percent of GDP equates to 1 million jobs, concluded that if the plan were fully phased in 2012 and nearly a trillion dollars in federal spending was slashed, the balanced budget amendment would cost 9.5 million jobs nationwide. Because of the balanced budget amendment’s strict requirements for deep cuts, hard spending caps and a two-thirds majority to raise revenue, Congress would be virtually helpless to reverse the negative effects of these Tea Party Republican policies. As we celebrate Labor Day this weekend, the Tennessee Democratic Party is also preparing for Jackson Day 2011. This year’s Jackson Day will be a historic celebration of the life and accomplishments of Governor Ned McWherter. Please join us in Nashville on Oct. 1st as we salute a governor who went to work for working families. Labor Day also reminds us that this has been a difficult year for working families with extreme, corporate-backed attacks against workers taking place around the country — and right here in Tennessee. These attacks on the American middle class show us exactly how important our work is. We’re fighting for all Tennesseans. Our victories — like the 40-hour work week and the creation of a broad middle-class — have improved the quality of life for all Americans. And our shared prosperity has always been opposed by the power elite. That’s why we want you at Jackson Day. Folks like Ned McWherter, who understood the value of hard work, pulled together and set our state down a different path. Now it’s time for us to pull together and carry on that legacy. Click here to purchase tickets for Jackson Day 2011. Your ticket purchase will provide crucial support to candidates who believe in creating opportunity for everyone. We are standing up to billionaires and politicians who attacked Tennessee teachers and union workers. We are fighting for investments in our children’s futures, our schools, and our roads and bridges. We are fighting for good American jobs, wages and benefits that should come with a hard day’s work. And we need you to join us Oct. 1 in Nashville to keep this movement growing. Click here to purchase tickets. Thank you for everything you do and have a happy Labor Day.